The Nairn Literary Institute was formed in 1875 by Dr John Grigor MD to stimulate interest in local history, archaeology & literature. 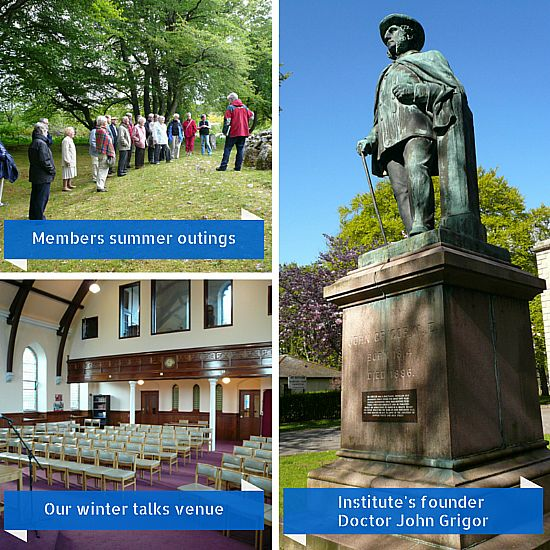 Since then the Institute has arranged a series of talks during the winter months on these topics, as well as an annual outing during the summer. Membership subscription is £20 for the 2018-2019 Season which will commence on Friday 12th October 2018. Non-members are welcome to attend the talks on an ad-hoc basis of £4 per meeting. Talks are held at the Nairn Free Church, Gordon Street, Nairn, IV12 4DQ at 7.30pm on alternate Friday evenings.